How is The CW's The Originals like the Iraq War? We apparently don't talk about either! Sunday night, I watched the first new episode of The Originals since last spring. But would have watched it Friday night if I'd known that's when it was airing. But did you notice the silence on Iraq yesterday? I hate the Iraq War. If we were a democracy, it would have ended. We are not a democracy and we need to stop pretending otherwise. But The Debra Messings would rather fret over Hillary Clitnon -- the War Hawk -- than the people of Iraq. Monday, March 20, 2017. 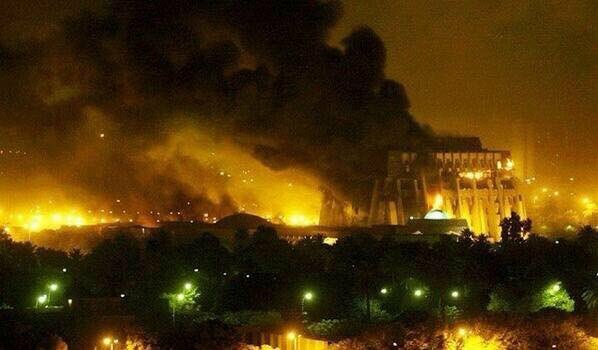 The never-ending Iraq War continues, 14 years after it started. A criminal probe into a disgraced Coventry lawyer who brought false claims against Iraq War veterans has a number of "lines of inquiry", the National Crime Agency (NCA) has said. A file on Phil Shiner, who was struck off last month for dishonestly pursuing torture and murder claims against British troops, has been passed to the agency by the Solicitors Regulation Authority (SRA). We stepped away from his work because there was clearly a problem with it. We did that before the scandal broke, by at least a year before. I was bothered by his methods, I was bothered by his filings. It's amazing that here we stand, on the 14th anniversary of the Iraq War, and the only one facing legal charges with regards to the illegal war is Phil Shiner. I think he did some shoddy work. I think he went beyond what he should have done. But how very sad that the most public defender of the Iraqi people would be the one to face legal charges and not the crooks who started the illegal war and who prolong it. 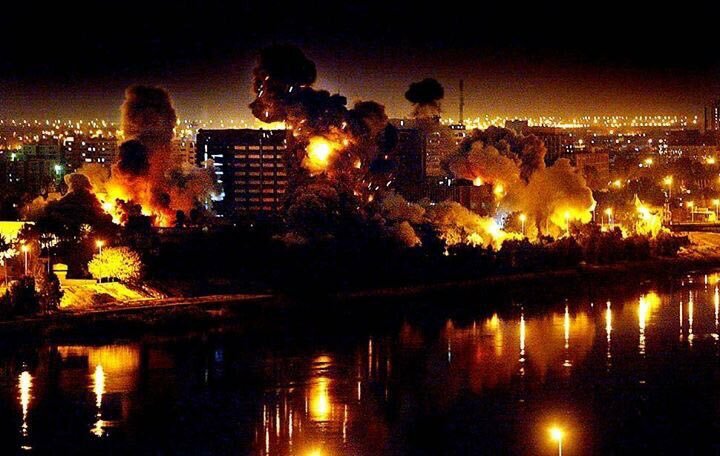 Fifteen years ago, the offices of president George W. Bush, British prime minister Tony Blair and Australian PM John Howard ran a sustained propaganda campaign to justify the pending invasion and subsequent occupation of Iraq. They were assisted by compliant media that reported outright lies as unvarnished fact. Now, thanks to the release of a highly redacted report written by a senior analyst in the Australian army, it’s been confirmed that the case for war was a pack of lies from start to finish. There were three components of the pro-war propaganda in the months leading up to the attack. One was that Iraq possessed weapons of mass destruction, including chemical weapons, and was ready to use them; it was only a matter of time, furthermore, before Iraq developed a nuclear capability. The second was that Iraqi president Saddam Hussein was funnelling assistance to Osama bin Laden’s Al Qaeda and other terrorist organisations. The third was that Iraq was flouting UN resolutions. Originating mainly from the White House and 10 Downing Street, these arguments were eagerly picked up and run by the Howard government, the Murdoch press and large swathes of electronic media. Even Fairfax’s Sydney Morning Herald and Age newspapers, which gave more space to the anti-war case, did their bit. A Herald page one headline in September 2002 read: “Saddam ready and able to strike. British PM claims Iraq could launch weapons of mass destruction in 45 minutes”. Despite this sustained propaganda offensive, most people were never won to the case for war. In January 2003, only 6 percent of Australians supported joining the invasion without UN backing. More impressive were the enormous anti-war rallies over the weekend of 14-15 February 2003, with 800,000 turning out against the looming invasion, along with millions more in the rest of the world. “No war for oil!” was our chant. For some, this meant that the war was solely about the US stealing Iraq’s oil and handing out “reconstruction” contracts to well-connected firms like Halliburton. 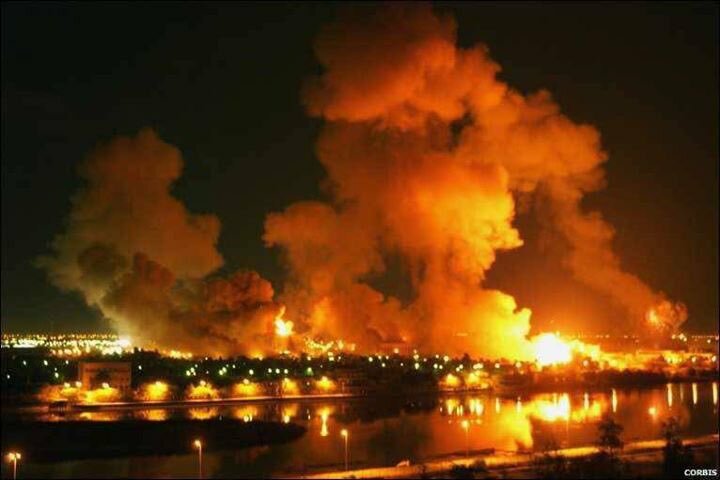 Socialists argued that there was more to it than just outright theft; the attack on Iraq was driven by the United States’ attempt to reinforce its hegemony not just in the Middle East but around the world. By controlling the supply of oil from Iraq, one of the world’s largest producers, the US could gain leverage over established imperialist rivals in Europe as well as up and coming powers such as China, whose economies depended on Middle Eastern oil. It was about the US using the one tool, military firepower, in which it had a distinct advantage over all its rivals, to show who was boss. It's one so many work so hard to obscure. Is journalism important, you clown? Then why is it that you and Ava have to go to an obit to find something/someone to praise? It's an obit of John Herbers -- the linked piece. And when did he leave journalism? That's the best Sarah and Ava DuVernay can come up with. See, the press took a dive. They sold out everything that journalism is supposed to stand for. They did that to sell the Iraq War. And so many saw them exposed for what they really were. Even now, they can't be honest about it. Not even the repentant Chris Hedges. See Chris worked for THE NEW YORK TIMES. And that paper started pushing for war on Iraq in October of 2001. In a front page story. Co-written by Chris Hedges. The 'report' long ago fell apart. Even all these years later, even after leaving NYT, Chris still won't get honest about that report. Even Chris Hedges, who savages the press, won't get honest. He won't tell the truth about that story: How it was assigned, how it was written. He gave two anonymous sources the space to lie. One source has been outed, the other has been ignored. If you've never read that front page story, it's "A Nation Challenged: The School; Defectors Cite Iraqis Training For Terrorism." Look it up and grasp that 'brave' Chris Hedges was doing propaganda for the war before Judith Miller. Grasp that Chris Hedges got away with it. Grasp that Chris Hedges speaks and writes endlessly but never wants to grapple with that article or get honest about it. The Iraq War has been going on for 14 years, Chris' lies made the front page sixteen years ago (six months shy of a full 16 years). And we still can't have an honest conversation about that. I like Jake Tapper but did he or did he not pick the worst time to say something stupid? Really now? Were you in a coma when a man named George W. Bush lied about Iraq having WMDs and slaughtered over a million innocent people? Here's a tip, CNN, keep your news people off circuses. 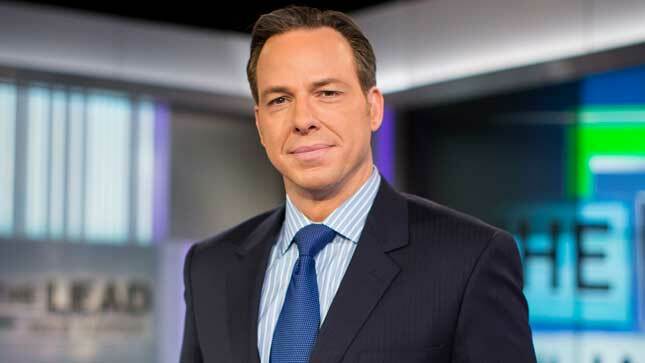 There was no reason for Tapper to be on that hideous program to begin with and it lowers the CNN brand when anyone from the network appears on it. Clearly, it also lowers their number of brain cells if Jake Tapper's going to claim that about Trump. I don't doubt that Donald Trump has the ability to lie the country into war. Thus far, however, he hasn't done it. Barack Obama has lied his way through continuing the Iraq War. There was the drawdown passed off as a withdrawal. Only Ted Koppel dared to tell the truth about that (on NBC and on NPR's TALK OF THE NATION). He certainly couldn't explore it in THE NEW YORK TIMES. Jill Abramson had made clear to everyone that (a) she didn't care about the Iraq War and (b) she saw the paper as serving Barack Obama's administration. Still, as September 2012 closed down, Tim Arango squeezed into an article on Syria the news that US President Barack Obama had just sent a brigade of Special-Ops into Iraq in the fall of 2012. If Sarah Silverman can face reality, she'd grasp that there were debates in October 2012 -- presidential and vice presidential. And not one 'moderator' raised the issue of Barack sending a brigade into Iraq. It's always been around us. Iraq just ended up exposing how corrupt so-called journalists actually were. It's day 154 of The Mosul Slog and THE NEW YORK TIMES has hired a ditz and embedded her with Iraqi thugs whom she praises while ignoring War Crimes that she sees. That's the reality of the press. in my life time––from the Gulf War to Kosovo to Iraq to Libya––the NYTimes editorial board has never once opposed a US war. And, of course, last year saw Crooked Hillary get the Democratic Party's nomination -- despite having voted for the Iraq War. Despite having supported it. Despite having done to help Iraq while she was Secretary of State. 4. 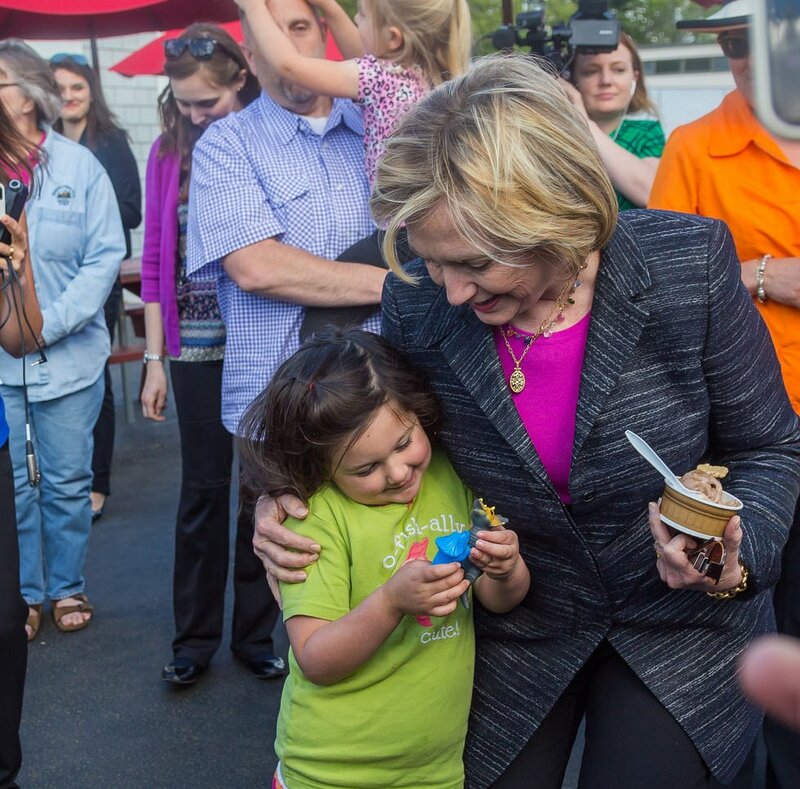 The hatred for Hillary is wildly disproportional to the facts of her life. Disconnected from reality. She has SAVED CHILDREN'S LIVES. But, hey, she called it a mistake. No, your mistake was voting for an illegal war. On this day 14 years ago Bush announced launch of Operation Iraqi Freedom. US media cheered, then got bored when hundreds of thousands died. Today, US President Donald Trump is scheduled to meet Iraqi Prime Minister Hayder al-Abadi at the White House. Hayder's accomplished nothing since the US installed him in 2014. There is still no political solution. Maybe one will come? From Shi'ite cleric and movement leader Moqtada al-Sadr? The beard has gone grey, the eyes are less stern but, above all, his ideas have changed dramatically. Muqtada al-Sadr, once dubbed "the radical firebrand cleric" in every Western media article that mentioned him, presents himself today, at the age of 43, as a promoter of sectarian tolerance and Iraqi national reconciliation. In his first interview with a foreign journalist for three years, the man who created a Shia militia which fought the Americans and the British for several years of their occupation, told Middle East Eye that he wants all militias, including his own, to be disbanded. He also said he favours urgent dialogue with Iraq's Sunni politicians so as to prevent clashes between Sunni and Shia, as well as Arabs and Kurds, once the country no longer has an enemy to unite against. "I'm afraid that the defeat of . . . [Islamic State] is only the start of a new phase. My proposal is inspired by fear of sectarian and ethnic conflict after Mosul's liberation," he said. "I want to avoid this. I am very proud of Iraq's diversity but my fear is that we may see a genocide of some ethnic or sectarian groups." Editorial: They wanted to stop a war?